Charles Dickens was born in Portsmouth,England,on 7 February 1812.One of the greatest living writers of the Vietorian Era,as his fume and talent is still recognised and celebrated to this day.A master of social commentary,his work touched every aspect and shade of the world and reality that surrounded him. His style was complex and poetic,with a strong comedie touch, and his satire about the British Aristocracy was, and still is,very popular. His short stories and novels are filled with sorne of the most memorable and original characters in aH of English Literature,transcending their own stories and pages ro beco me primordial in Western culture and tradition.Such is the case of Ebenezer Scrooge and Oliver Twist;characters that became the perfect archetype for greed and humiliry,respectively. Many of his works are the perfect historieal document of a time of great change,innovation and social inequaliry,fiHed with hope for a better tomorrow through science and human achievement. 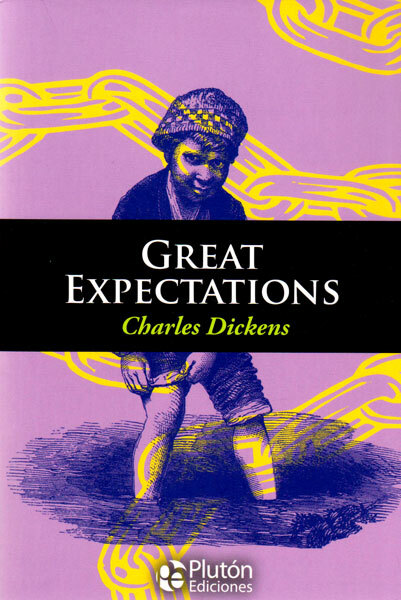 Great Expectations (1854) is considered one of rhe author\'s greatest and more sophisticated works.The novel narrates the story of Phillip Pirrip,an orphan blacksmith apprentiee whose life aspiration is to become a gentleman and part of the nobility.